We’re away until January 3, but we’re reposting some of our favorite pieces from 2017. Enjoy your holiday! 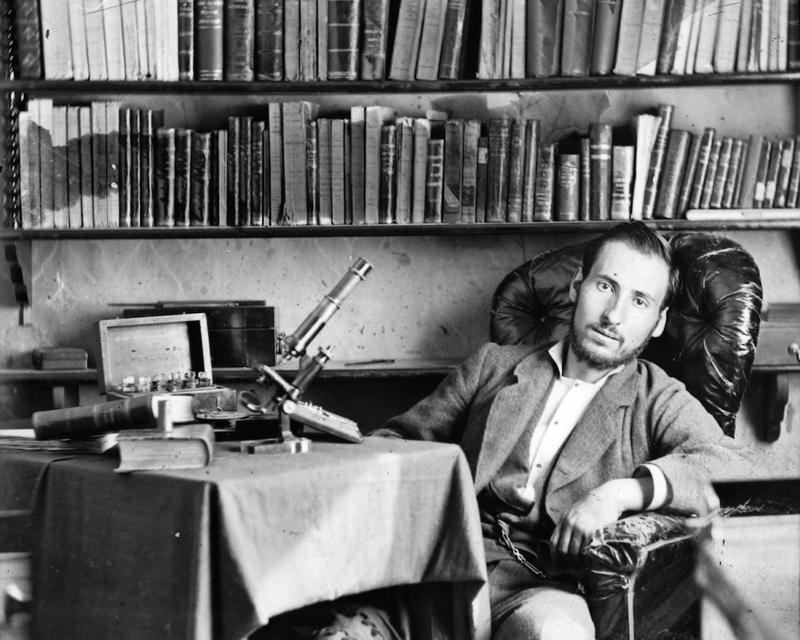 Santiago Ramón y Cajal, “the father of modern neuroscience.” All images courtesy Cajal Legacy, Instituto Cajal (CSIC), Madrid. Fiction is, by definition, a world away from fact—but Santiago Ramón y Cajal, often heralded as “the father of modern neuroscience,” used it to find objective truth. Cajal spent his days at the microscope, gazing down at faint, entangled fibers that appeared to his fellow anatomists as inscrutable labyrinths. Contrary to prevailing theory, the Spaniard discerned that the nervous system, including the brain, comprises distinctly individual cells (neurons), which, he theorized, must communicate across the infinitesimal spaces between them (synapses). It was Cajal who first applied the term plasticity to the brain; he went so far as to recommend “cerebral gymnastics” for mental enhancement, presaging twenty-first century insights and trends about brain exercise. “If he is so determined,” Cajal said, “every man can be the sculptor of his own brain.” If all Russian literature comes from Gogol’s “Overcoat,” and all modern American literature comes from “a book by Mark Twain called Huckleberry Finn,” then international brain research, including grand projects like the BRAIN Initiative and the Human Brain Project, emerges from the unlikely work of Santiago Ramón y Cajal.